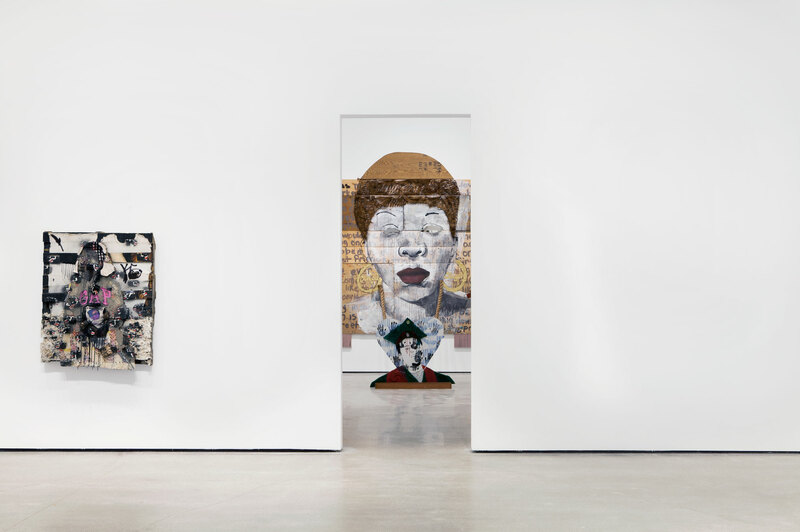 In one of the most impactful moments in his exhibition titled Tough Love, the young painter and assemblage artist Aaron Fowler — a St. Louis native — has composed a striking dual portrait of Ferguson shooting victim Michael Brown and his mother. 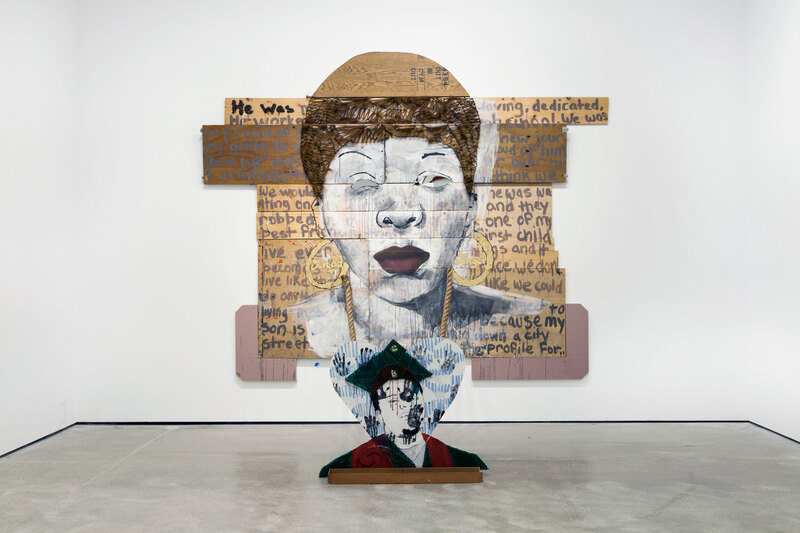 The work is an altar-like, room-sized installation that uses paint, hair extensions, rope, found plywood and the eulogy that Lezley McSpadden, Michael Brown’s mother, wrote for her son. 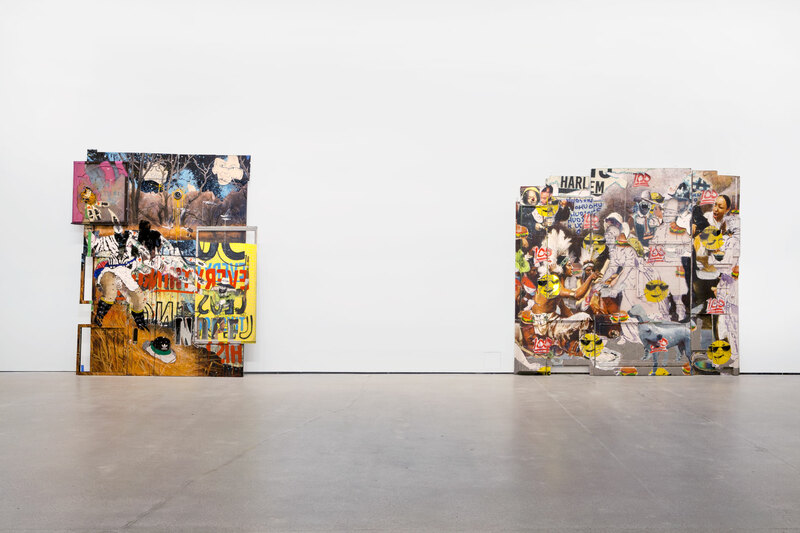 Throughout the exhibition, the exuberant stylistic olio and outsider-infused spectacle of his hybrid, operatic tableaux rests on a bedrock foundation of advanced technique and obvious dedication to craft and method. 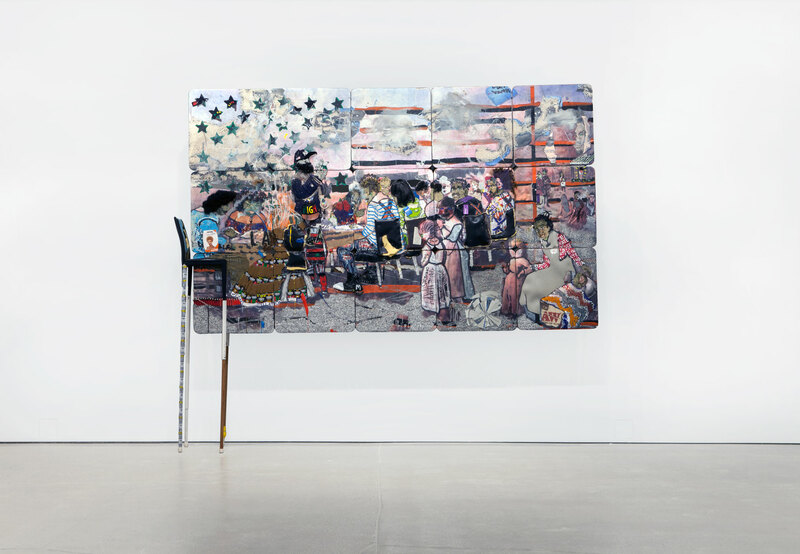 His boundary-blurring, confident fluency in a range of urban and atelier vernacular modes of narrative, allegorical, depictive, expressive painting and sculpture, as well as bold architectural siting, yield an engaged, active scholarliness with shades of Noah Purifoy, Leon Golub, Barry McGee, Robert Rauschenberg and Romare Bearden. 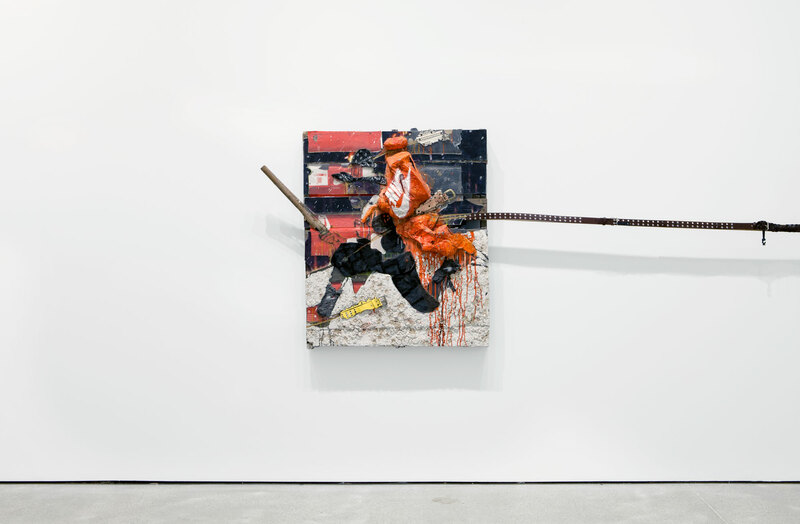 Fowler was born in 1988 in St. Louis, Missouri. 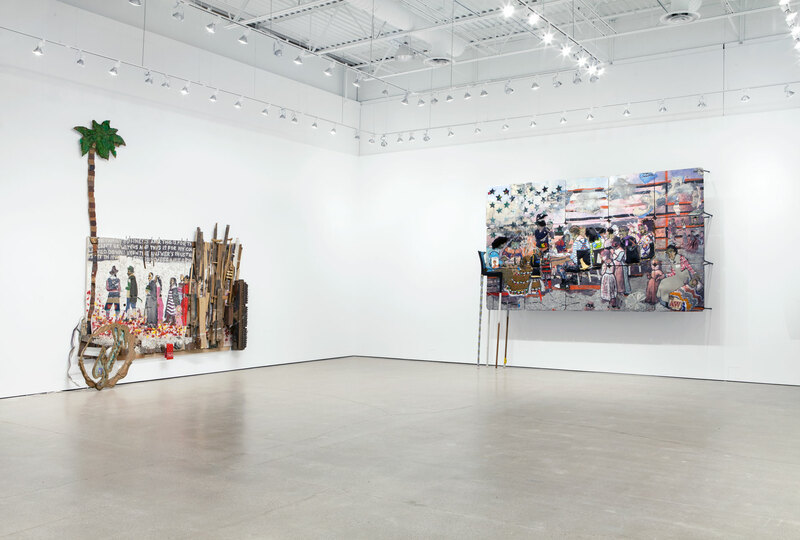 He received his BFA from the Pennsylvania Academy of Fine Arts in 2011 and his MFA from Yale University in 2014. 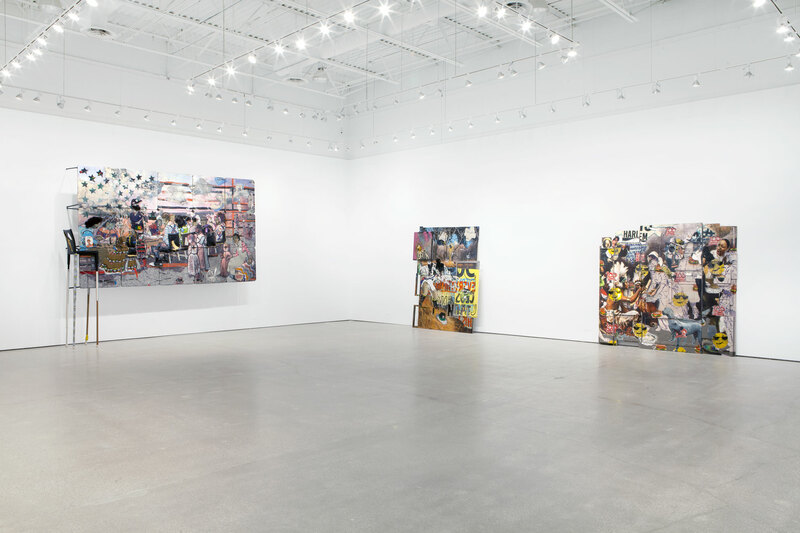 This year, he had a solo exhibition at Diane Rosenstein Gallery in Los Angeles. 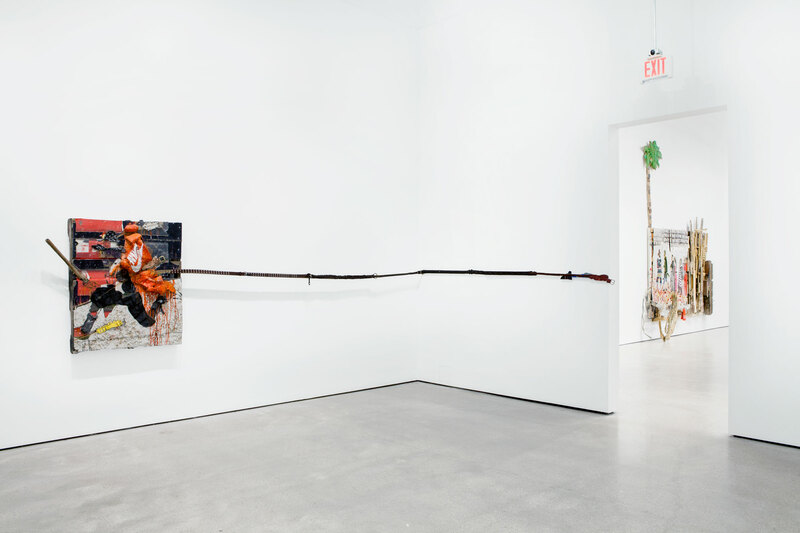 He was recently included in the group exhibition A Constellation at the Studio Museum in Harlem. 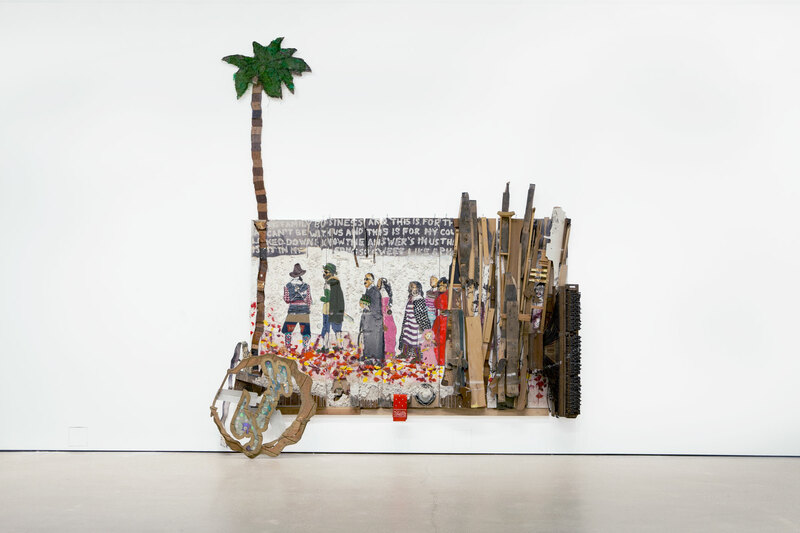 And his work is in The Saatchi Gallery Collection in London and in the Rubell Family Collection in Miami.